The moment your dryer breaks down, pick up the phone and call us. We serve all dryer repair El Cajon needs as quickly as possible and always dispatch licensed and qualified techs. You just need to tell us the problem and we will send you a tech at the earliest of your convenience. Don’t underestimate the significance of having the dryer fixed quickly even if the problem seems to be minor now. It will be worse tomorrow. With quick response times and experience in all brands, we try to address problems off the bat and thus restore the good operation of the appliance. Get a professional and affordable service by contacting CT Appliance Repair El Cajon. Dryers get clogged when lint builds-up. Overtime, the parts of your appliance will wear and might break. In all occasions, we are available for same day dryer repair. The goal here is to have the dryer repaired as quickly as possible and thus prevent worse headaches. Do call us if your dryer fails to work, makes noises, takes longer, or doesn’t dry the clothing. A tech will come out rapidly to troubleshoot the appliance, replace the damaged parts, remove lint, and do any repairs needed. Whether there’s need to service an independent unit or a combo, it’s all the same to us. We dispatch El Cajon appliance experts in washer and dryer repair services. How would you like the idea of preventing lint from building up? This can happen with dryer service on a regular basis. You simply make an appointment with us and a tech comes out to routinely inspect and service your home appliance. 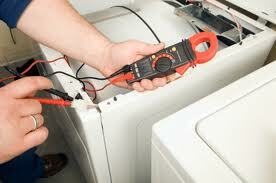 All tiny problems are fixed, lint is removed, and the appliance is serviced to run efficiently and safely. And so, you won’t deal with major problems while the utility bills will be reduced. If you are interested, we can send you an appliance repair El Cajon CA tech to offer the service. It’s annoying to get a new dryer and then realize that it won’t work as it should. To avoid problems caused by incorrect dryer installation services, give us a call if you buy a new appliance. We will be happy to assign a qualified tech to install the model and brand you purchased. Every single time you reach out to us for services, we send you a licensed tech. And we are available for prompt dryer repair in El Cajon, California. 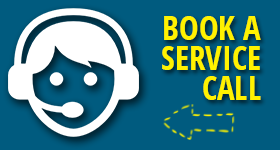 Do call us with your service needs.